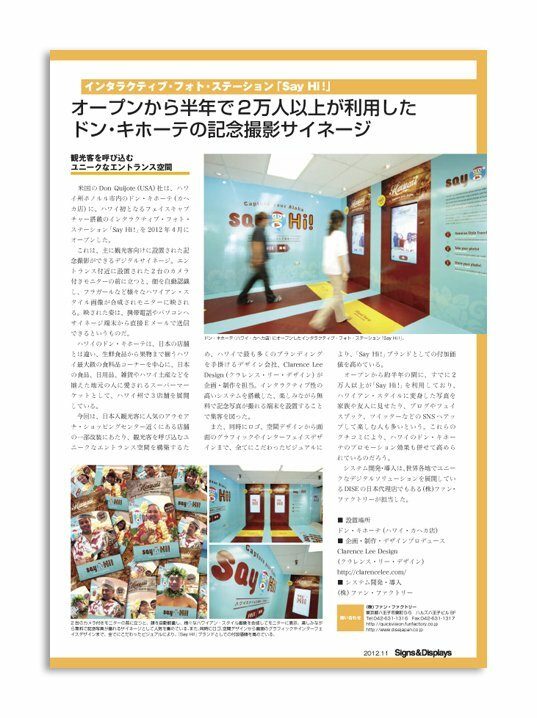 “The most cutting edge digital signage you should focus on” is an article featuring “Say Hi!” appearing in a recent magazine in Japan, “Signs and Displays” November Issue. 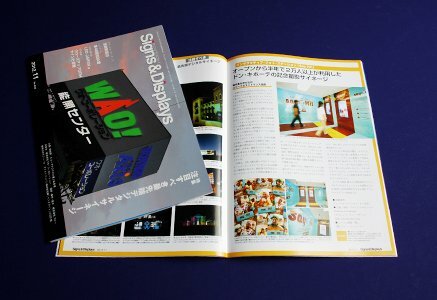 “Signs and Displays” is an industrial magazine featuring outdoor, transit advertisement, facility signage and displays. Say Hi! is an interactive photo station located in Don Quijote Honolulu, Kaheka Store. Clarence Lee Design oversaw the entire design process from initial planning, branding, environmental design, digital contents design, and promotional design for the “Say Hi!” project.